One of the parts of your organization’s journey in implementing Hybrid Identity, might be to migrate from DirSync to Azure AD Connect with Azure AD Sync. Furthermore, IdFix does not report any issues with objects. Azure AD Connect’s Sync Services won’t report on issues either, because this situation simply falls out of scope of the default sync rules in Azure AD Connect’s Sync Services. The difference is caused by the multi-domain and multi-forest support in Azure AD Sync. In DirSync, user objects with linked mailboxes. would synchronize into Azure Active Directory. In Azure AD Sync these objects don’t sync up. From a project management point of view, you’ll want to check for user objects with linked mailboxes, report on them and remediate the situation before you (attempt to) go live with Azure AD Connect as part of your Hybrid Identity solution. A linked mailbox is a mailbox that’s associated with an external account. The resource forest scenario is the prime example of a situation in which you would want to associate a mailbox with an external account. In a resource forest scenario, user objects in the Exchange forest have mailboxes, but the user objects are disabled for logon. You must associate these mailbox objects in the Exchange forest with enabled user objects in the external accounts forest(s). 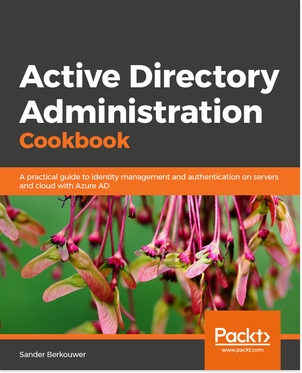 While the resource forest scenario is one of the most obvious reasons for linked mailboxes, linked mailboxes can also be remnants of botched and/or incomplete Active Directory migrations using the Active Directory Migration Tool (ADMT) or any 3rd party migration solution(s). A linked mailbox can also come to life when you orphan and then reattach an Exchange mailbox to another user, for instance a recreated user in case of an accidental deletion. This will produce a list of all the user objects. The first and most straightforward method is to changing the scope of Azure AD Sync. Include the disabled accounts that reside in the Exchange resource forest. You won’t necessarily need to exclude the accounts with linked mailboxes that won’t synchronize, because Azure AD Sync considers these out of scope and therefor won’t cause duplicates in the Connector Space towards Azure Active Directory. This method is best to tackle the resource forest scenario, as long as the admins of the resource forest are OK with the security, load and connectivity implications that Azure AD Connect imposes on their environment. Afterwards, the user object will no longer be out of scope for Azure AD Sync and it will synchronize up to Azure Active Directory. Find the user account to be modified. Change the msExchRecipientTypeDetails from 2 to 1. This method is best to tackle botched user-mailbox relationships and/or previously reattached mailboxes. Linked mailboxes may ruin your organization’s Hybrid Identity dreams in the Azure AD Connect era. You’ll want to check for them, report on them and remediate the situation before you (attempt to) go live with Azure AD Connect as part of your Hybrid Identity solution.